It feels like a lifetime ago that I posted about beauty and I've missed it terribly! One of my favorite things about being a blogger is discovering brands, trying out new products and writing up my thoughts in my little corner online. And this post is just that! 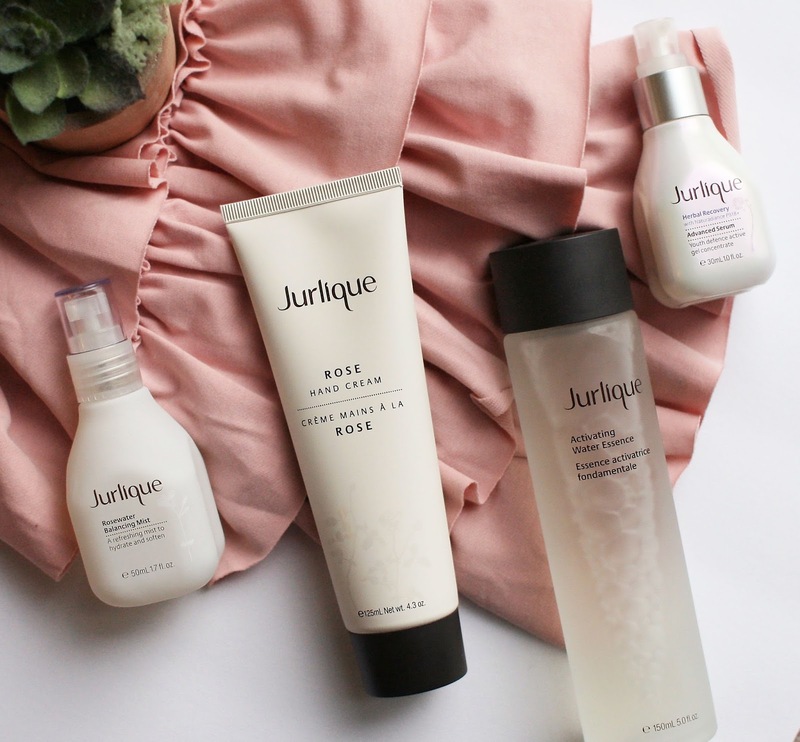 Jurlique is a well known luxe brand that I have come across many times and they have always been on my list to try, so obvs I was extremely excited when a surprise package turned up at my door with their bestselling products inside. I have tried out these 4 products for around two weeks now so this is definitely a first impressions review! 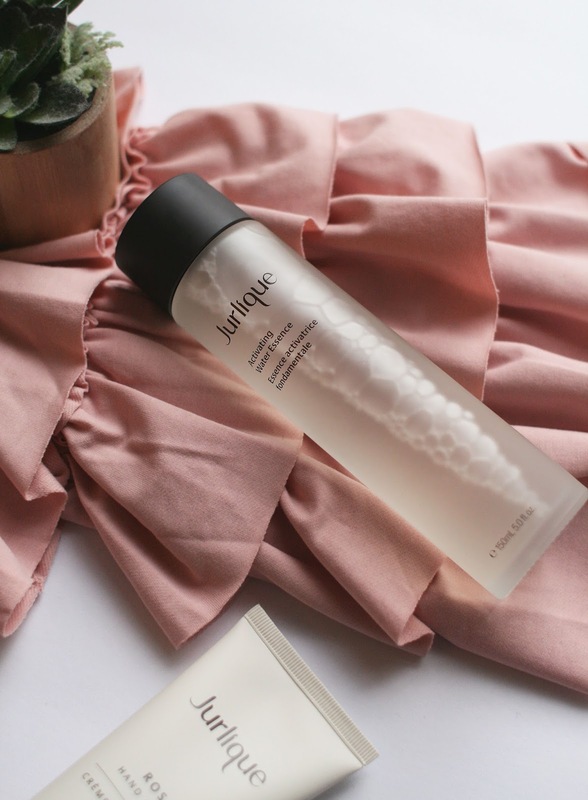 Jurlique - Activating Water Essence* - $55 | This is the one product I thought I would like the least but actually its my favorite of the bunch and I'm probs gonna have to stock up so I never have a day without this water essence! I sound dramatic but I really mean it. The first time I tried this I went straight to my husband and said 'You need to try this!'. Yep he loved it too. Anyway the main reason I love this product is the scent, it smells like the most indulgent spa treatment you've ever had, its grown up and super relaxing. The other reason I like this is because its very hydrating and its taken my dry skin down a notch. To use you simply pour a few drops onto your hands, warm slightly and press into skin, it feels glorious. I let my skin soak this in before moving onto serum and moisturizer. Jurlique - Rosewater Balancing Mist* - $24 | I'm not the biggest fan of rose scented things mainly because it tends to be quite strong. This mist in particular (and the hand cream) aren't too strongly scented so it hasn't put me off using the product. 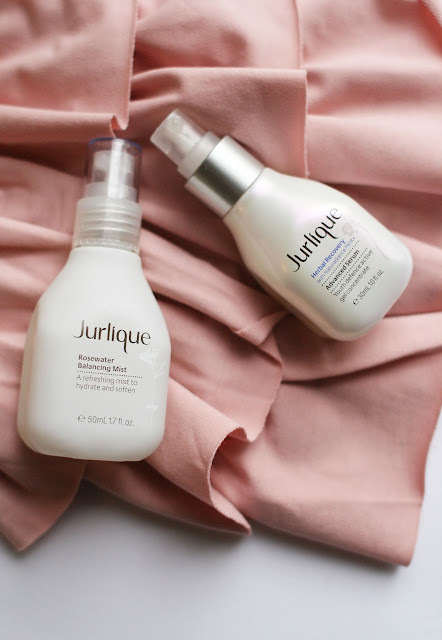 That said Jurlique have a lavender mist on their site which is 100% more me. I have only recently started using mists as a part of my skincare routine and I adore them especially in the morning as its a relaxing wake up call for my skin. I'm planning on taking this on my flight to London this March because 11 hours on a plane is going to seriously dry out my skin more than it is already. Jurlique - Herbal Recovery Advanced Serum* - $69 | Serums have been a lifesaver for my dry skin and I have loved using this one by Jurlique for the past two weeks. It has a gorgeous silky consistency and absorbs well into the skin. I can't really say whether its made me look younger after two weeks of use but my skin has felt plumper and hydrated which is a dream for me. I only use one pump of this serum for my face, neck and décolletage, a little goes a long way! 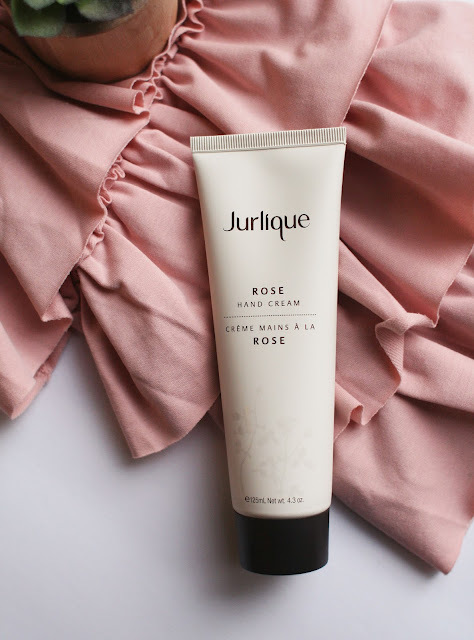 Jurlique - Rose Hand Cream* - $19 | I am that person who has hand cream in every bag and in every room of the house because dry hands are the worst. My hands are incredibly dry at the moment and I think its down to having a newborn and constantly using hand sanitizer (which I also have in every bag and every room of the house!) Despite this being rose scented I do really like the cream. Its not the fastest absorbing hand cream but once it is fully absorbed my hands feel ultra soft but not greasy. Its quite a thick luxurious cream and keeps my hands hydrated for quite a while. Jurlique have 3 other hand creams in citrus, lavender and jasmine so there is something to suit everyones taste. Have you tried Jurlique before? Which are your favorite products?